1.7. What is the solution for saving the planet? 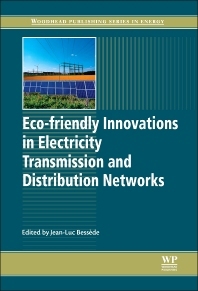 Discusses key environmental issues and methodologies for eco-design, and applies this to development of equipment for electricity transmission and distribution. Provides analysis of using and assessing advanced equipment for wind energy systems. Includes reviews of the energy infrastructure for demand-side management in the US and Scandinavia. T&D systems designers and technology manufacturers, materials engineers, electrical engineers and energy consultants, and academic researchers in this field.